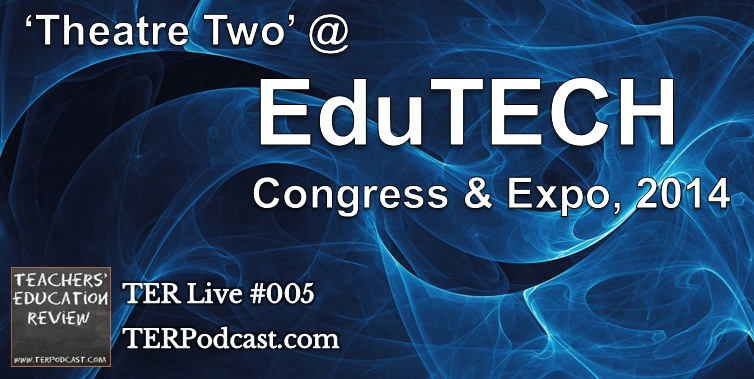 This TER Live Episode brings you presentations from ‘Theatre Two’ at the EduTech Congress and Expo, held in Brisbane in on the 3rd and 4th of June, 2014. All content was recorded at EduTECH Congress and Expo, which is organised by Association and Communication Events. 17:54 – John Galvin, teacher educator at OLMC Mr Pritchard in NSW, discussing Flexible Learning Spaces. 39:05 – Shane Hunt, teacher at Frankston High School in Victoria, talking about empowering students to lead their own learning. 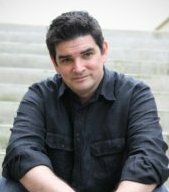 51:47 – Dr. James Curran, Associate professor with the School of Information Technologies at the University of Sydney talks about approaches to teaching the Australian Curriculum in Digital technologies. This special episode presents the recording of our first TER Live event, the Teachmeet BYOD Policy Forum. Panelists discuss issues relating to the development and implementation of BYOD policies in Primary and High School settings.